I was flicking through my Flickr account today, when I came across this photo that I had forgotten about. 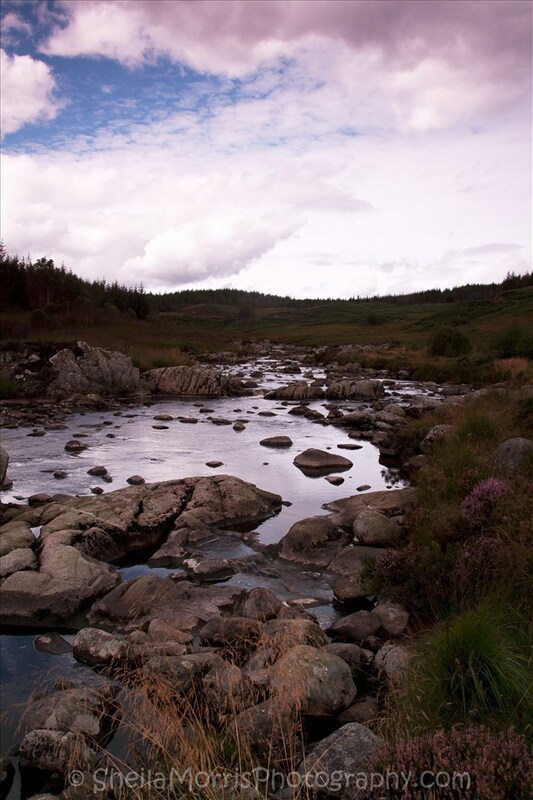 I took this somewhere in Scotland after visiting the Cairngorm Mountains a couple of years ago, but I have no idea where abouts this place is. It would be a good place to visit again, but I think I’ll struggle to find it again. It was such a lovely peaceful place to be. This was one of the days where I wanted to try out the filters I had. The pinkish sky is from using an ND filter, though I can’t remember which one I actually used as I have several and would’ve been experimenting with them all. Hope you like this one.